The Hair Gallery is the premiere hair extension and blow dry bar in Kansas City. Call us at (913) 800-7139 so we can get you scheduled. Our stylists are masters at creating the perfect blow out. Ask about our products! Refer a friend & get $10 off your next service! 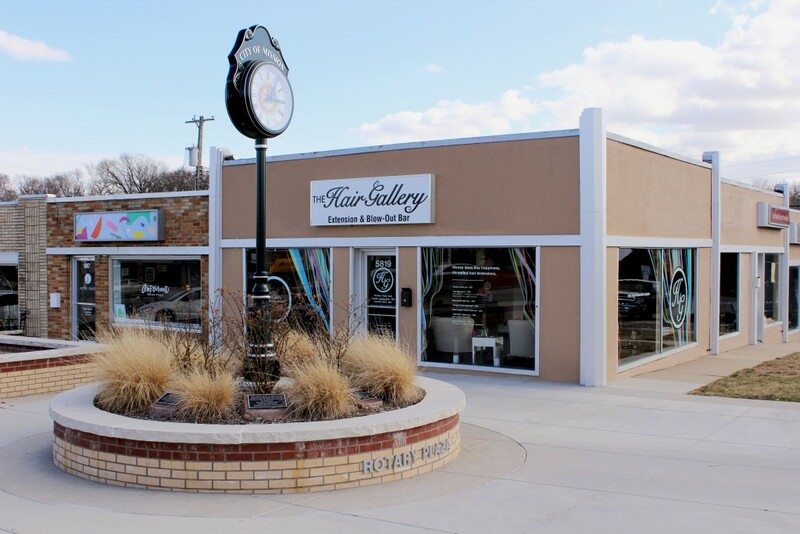 The Hair Gallery is a premiere hair extension and blow dry bar located in downtown Mission, KS. The concept was created to provide an upscale modern environment where women can come relax, and have their hair done by a professional. The Hair Gallery Is the perfect place for special occasions, social events, or just a quick getaway to be pampered. The Hair Gallery specializes in signature blow dry techniques for every hair texture. We also sell high quality Virgin hair extensions to meet all of your hair needs. All Hair Gallery stylist are trained to master the art of creating the perfect blow-out. We use premium line products to enhance your blow-out experience, color enhancement, silk treatments, and perfectly blended extensions. Once you experience the Hair Gallery you will never settle for “just another salon experience. Check out the products you can purchase at The Hair Gallery. Our clip-ins create a simple way to add length and fullness to your hair. Our closures are 100% virgin human hair, on a machine double weft. Our closures are great for clients who are looking for a seamless, natural looking finish to their installation. Our closures are made with 100% virgin hair on a 4×4 Swiss lace. Our virgin curly hair is bouncy and light weight. The curls are rich, chic and can be styled as often as needed to achieve a variety of looks. Our Virgin hair can be worn straight or curly. Straight texture can be washed as often as needed without shedding or tangling. Hair will last 9 month to a year if cared for properly. Weight: 3.5 oz. – 4 oz. Our virgin hair body wave texture is a loose wave pattern which makes it effortless to style and maintain. Body wave hair can be worn in its natural wavy state, straight or curled. Hair will last 9 months to a year if cared for properly. Weight: 3.5 Oz – 4 Oz. Our virgin hair loose wave texture is a pattern that can be mainly worn in its natural state. Wearing it natural makes it effortless to style and maintain. Loose wave hair can be flat ironed bone straight or curled. Hair will last 9 months to a year if cared for properly. Check out some of our videos to help you get through those difficult times during the week. We know the best is yet to come for you! Get that new look you’ve been waiting for today! © 2019 The Hair Gallery.